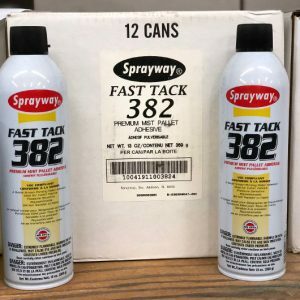 Viking is a leading NY distributor of Sprayway adhesives. Superior tack level holds fleece and tees. Flash safe, non-staining, and non-flammable. Can be thinned with water up to 1:1. 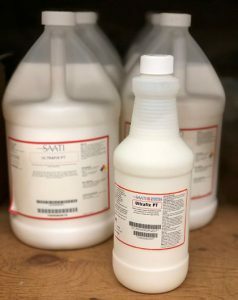 Screenprinting pallet adhesive specially formulated for flash-cure applications. Remains tacky; perfect for applications and temperatures required to cure plastisol inks. Safe to use on any fabric. Will not transfer to or allow shifting during screen printing process. 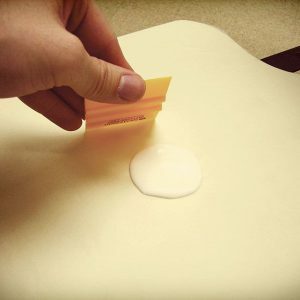 Economy-type adhesive for textile screenprinters who work with sweatshirts and other heavier materials. Bonds easily to cloth, paper, cardboard, acetate, foil, plastic film, cork, foam, rubber, and leather. Fabric will not shift during screenprinting process. 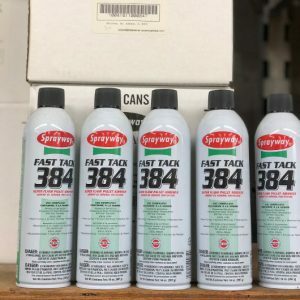 Screenprinting pallet adhesive formulated for flash-cure applications. Will not transfer to or allow shifting during screenprinting process. Opens dried-up areas on screens used by screenprinters and signs/display personnel. Compatible with all types of screen printing inks. Regular use helps to prevent clogging and work delays. For use on screens made with photogenic (direct or indirect), stencil or lacquer-proof knife-cut films only.